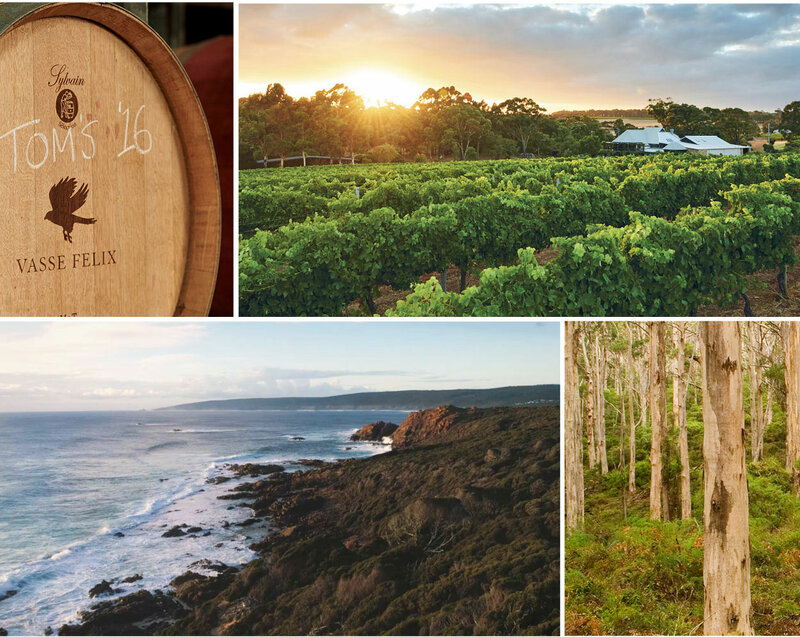 Stay in touch with the latest news and happenings at Vasse Felix, in Margaret River and on tour around the world. 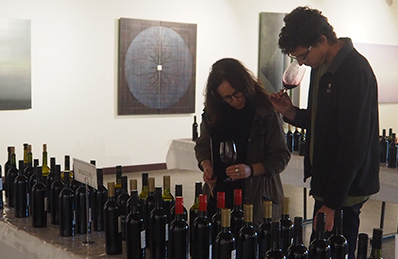 On Friday 4 May, we hosted over 50 producers from the Margaret River Region for the annual Regional Cabernet Tasting. 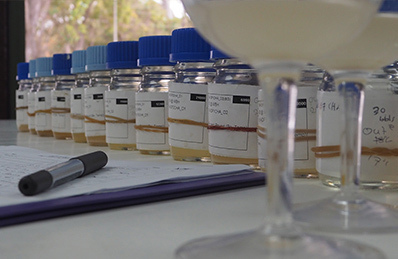 These producers generously shared close to 90 unfinished, anonymous Cabernet barrel samples from the 2017 vintage, allowing winemakers and viticulturists to examine the different techniques and styles used to create beautiful Margaret River Cabernet. Winemaker Julian Grounds and Viticulturalist Mike Sleegers from McHenry Hohnen led this year’s discussion on the 2017 vintage, which fittingly (in what is the region’s 51st year) centered around creating Great Wine long term for a sustainable future in Wine Paradise. Winemakers discussed the journey towards achieving true expression of terroir, as well as the importance of canopy management to prevent disease and achieve earlier ripening. The standout wines from this tasting were elegant, balanced, and medium bodied, with excellent tannin quality. 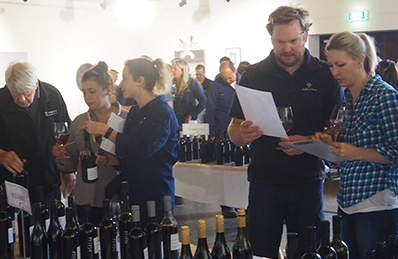 Considering the nerve-wrecking vintage that was 2017, the quality of these wines is a definite feather in the cap for our region’s viticulturists and winemakers. Similar to 2017, this has been a season of cooler than average conditions. Spring and December delivered intermittent summer and winter weeks leading into the growing season, then average temperatures 1.5 degrees lower than the 18 year average followed in January and February. When some late January rain arrived we became rather nervous about ripening. 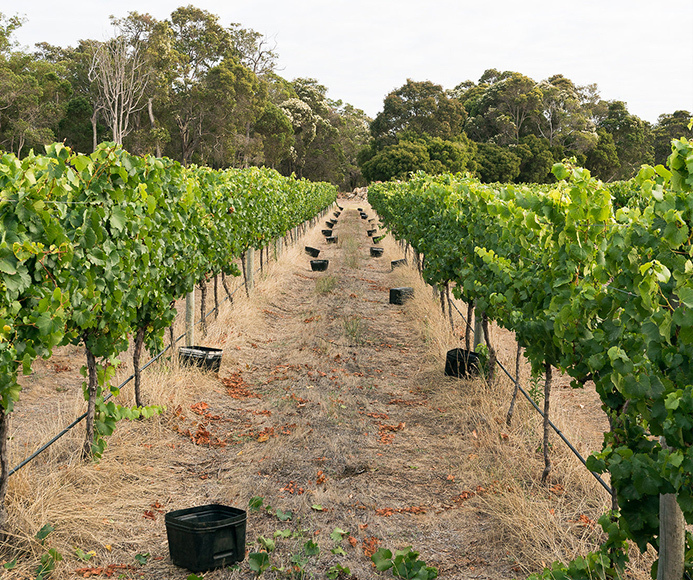 Somehow, Margaret River has delivered a beautiful growing season for the vines, with ample sunshine to aid vine function, while strong daily sea breezes have preserved vibrant fruit flavours and acidity. Harvest began on 7 February, one week later than our 10 year average, although two weeks earlier than last year. Our white varieties ripened with beautiful sugar and flavour, and for the third consecutive year maintained high acidity. The weight, flavour and structure in our Chardonnay is amazing, and while we are looking forward to some malolactic fermentation to moderate acidity, the Chardonnays look very exciting. Also exciting, was the first harvest of Gingin Chardonnay that was grafted into our Gnarawary Vineyard in Wallcliffe in 2016. The only disappointment across all vineyards? Chardonnay yields are low. We believe this is due to spring conditions which affected fruitful shoot development and flowering. Sauvignon Blanc has been a lovely surprise this year, achieving wonderful ripeness in the cooler season. There was considerable disease pressure in Sauvignon Blanc from our most southern Karridale Vineyard, however our Viticulture team managed this superbly. Damage was minimised and excellent ripeness achieved from their tireless work, opening canopies with leaf plucking and fruit thinning. We've developed multiple winemaking projects this year with Sauvignon Blanc. These include our first carbonic macerated Sauvignon Blanc, adding to the existing full skins Sauvignon Blanc project. The main aim for these projects is to challenge and improve our winemaking for the Sauvignon Blanc Semillon. Both are looking fantastic. A continuation of dry, sunny but moderate to cool conditions allowed Cabernet to ripen beautifully with excellent flavour ripeness and retention of fruit perfume. The cool dry conditions allowed hanging to deliver fine tannins at a high quality level with the similar development time to the 10 years average. In between the harvest, our vintage crew ensured that each block received a good drink post harvest to aid the vines in preparing for winter dormancy. This is an essential part of closing the vintage season successfully and setting the foundations for a fruitful following year. Whilst we haven’t had as much fruit as we usually do, the vineyard itself is looking healthy and sustainable for the next season. One month from the official global release (1 May 2018) and the 2014 TOM CULLITY has received some stellar reviews. 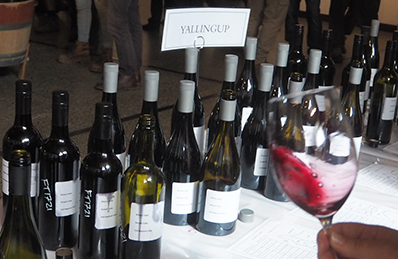 Most recently, Ray Jordan (The West Australian) awarded the 2014 TOM CULLITY 99 points, describing it as "unlike anything seen before in the region." The inaugural TOM CULLITY release - the 2013 vintage - achieved the greatest critical acclaim of any Vasse Felix red wine in history and the winemakers and Ray Jordan believe the 2014 vintage is even better, "the release of the extraordinary Vasse Felix TOM CULLITY cabernet sauvignon malbec, which I have given 99 points, might just be the wine to deliver irrefutable proof that 2014 is the greatest Margaret River cabernet vintage," Ray Jordan said in the review published in The Weekend West, 7 April 2018. Ray Jordan is a highly respected Western Australian wine writer who has been has been writing about wine for more than 30 years. The Winery has been a bustling hub of activity as we steadily progress through vintage of the white varieties. 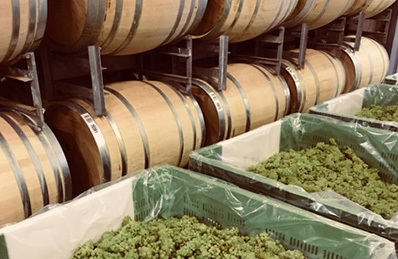 In late February, we picked the last of the Home Vineyard Chardonnay, with some fruit still to come from our Gnarawary and Karridale vineyards. Although yields have been down, the quality of Chardonnay has been exceptional this year, with the combination of slightly higher sugar and strong acidity promising to deliver wines of power. 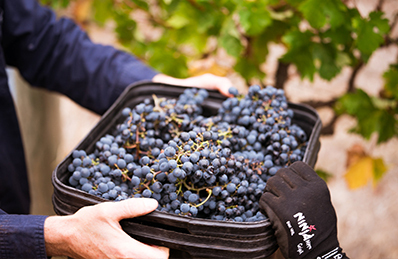 Harvest of the white varieties continues as we shift our focus to our southern Margaret River vineyards. It appears that we will have quite a traditional transition from white to red varieties this year (no cross-over), with harvest of our red varieties likely to commence in a few weeks and continue well into April given the mild summer we have experienced. It has certainly been an experience for me, moving from one end of the Vasse Felix wine spectrum to the other. A typical day as Estate Sommelier involves analyzing, deconstructing and discussing Vasse Felix wines with Estate guests. 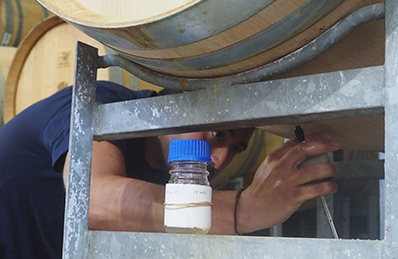 In the winery however, the 12 hour day can involve anything from receiving and crushing fruit, transferring juice and taking ferment samples, to driving forklifts, washing barrels and becoming very closely acquainted with lees! Although the pressure to get things right in the winery feels a lot higher, our ‘less is more’ approach works wonders, and a lot of the time, tiny tweaks and finessing is all that’s required to allow the natural beauty of the fruit characters to shine through. Working closely with our core winery crew, in particular Chief Winemaker Virginia Willcock and Senior Winemaker Mick Langridge, has allowed me to better understand and appreciate the complex processes that contribute to the final quality and style of our wines. Experiencing the feel of a Vintage one day a week (without the drawback of a 72hr work week!) has been fantastic - the atmosphere reminds me of the Gourmet Escape or Easter period as experienced in the Estate Building. The upbeat spirit of the entire crew (a mixture of Americans, Canadians, Germans and Australians), the coffee and the winery’s music selection make vintage life all the sweeter! 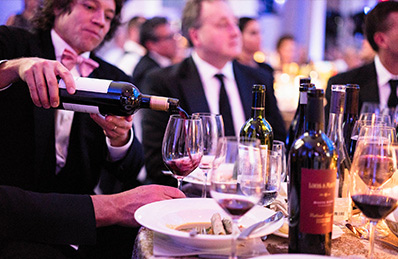 Vasse Felix was among 16 Wine Star Award winners honoured by leading USA publication Wine Enthusiast at a black-tie gala in Miami on Monday 29 January. 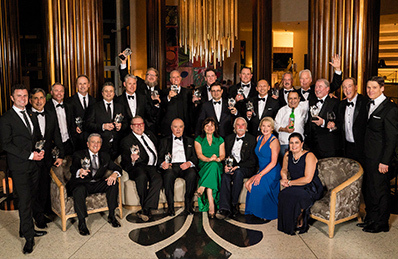 Vasse Felix owner, Paul Holmes à Court, was in attendance to collect the 'New World Winery of the Year' trophy at the awards gala, taking the opportunity to thank Wine Enthusiast for the tremendous honour. “We are thrilled to have Wine Enthusiast recognise Vasse Felix and Margaret River in our 50th year. 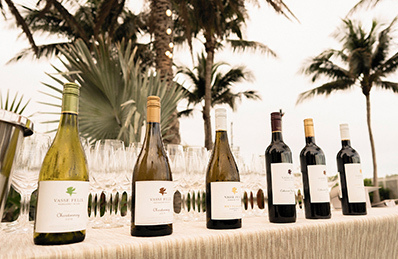 We’ve grown together from a doubtful 8-acre vineyard planted by Tom Cullity in what was then a remote dairy-farming town, to an internationally renowned wine estate in fifty short years. This award belongs to everyone who has worked to make Vasse Felix what it is today,” Paul Holmes à Court said. 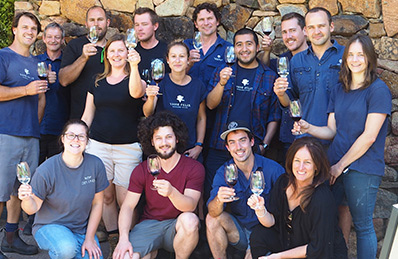 The Margaret River wine estate was one of five nominees from major international regions, surpassing estates from Stellenbosch (De Toren), Auckland (Kumeu River), Argentina (Trapiche) and Chile (Vina Ventisquero), to receive the coveted award. 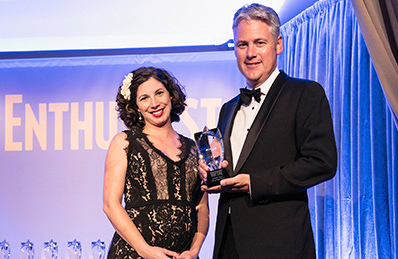 Wine Enthusiast Editor and Publisher, Adam Strum said the awards recognise leaders within the beverage industry. 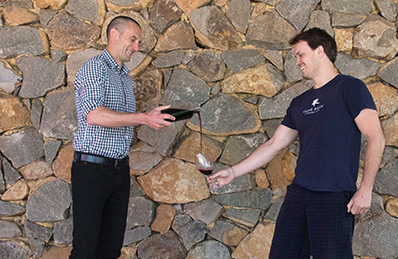 “Vasse Felix has lead Margaret River in quality since the beginning. They have consistently raised the bar for their region with outstanding, long-lived Cabernet Sauvignon and complex, multifaceted Chardonnay. Additionally, the current team with Virginia Willcock at the winemaking helm, continues to take the winery to new heights,” Adam Strum said. 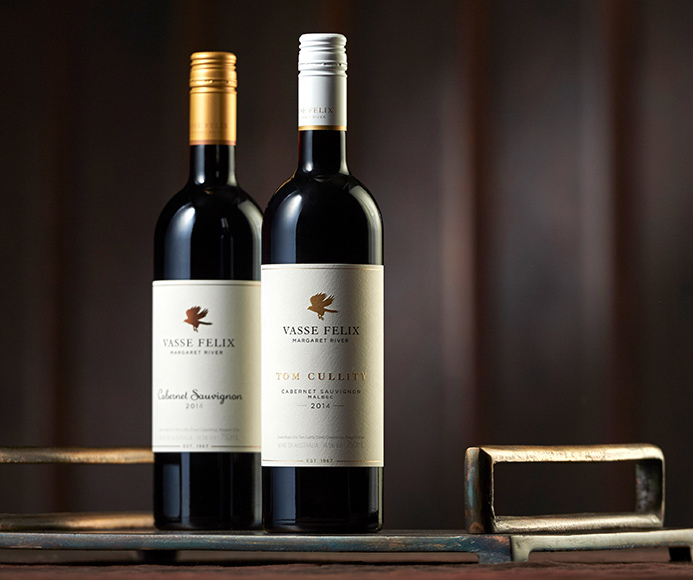 Vasse Felix is the first Margaret River and West Australian winery to receive the US publication’s award, joining only three previous Australian winners; Penfolds (2013), Yalumba (2009) and Clarendon Hills (2006). Paul Holmes à Court said the Wine Enthusiast ‘New World Winery of the Year’ Wine Star Award was also a timely reminder of how the Margaret River wine region has cemented its reputation for world-class Cabernet Sauvignon and Chardonnay. 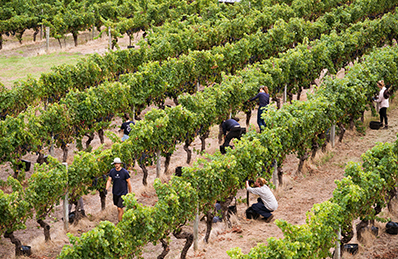 Margaret River contributes just 3% of Australia’s overall wine production, but commands 20% of its premium market. The region’s Cabernets accounted for 41% of James Halliday’s Best of Best by Variety in his 2018 Wine Companion and 25% of its Chardonnays. Vasse Felix’s icon wines the TOM CULLITY Cabernet Sauvignon Malbec and HEYTESBURY Chardonnay were represented in each of these categories. Videos of the awards, plus the acceptance speech from Paul Holmes à Court can be viewed here. 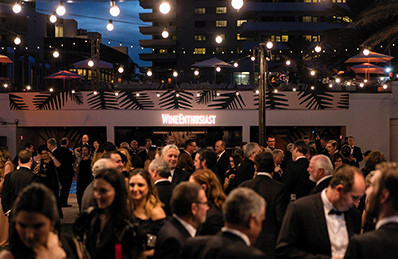 The official Vasse Felix Wine Star video and photos from the Wine Enthusiast's Wine Star Awards black-tie gala are below. Photos: Mark Tomaras Photography. Chef Brendan Pratt's favourite Summer food and wine pairing, including the detailed recipe! Bring the water, honey, juniper and salt to the boil to create a brine. Remove from the heat and chill. Add the kingﬁsh to the cold brine, leave for 45 minutes. Remove from the brine and gently rinse in cool water, pat dry and set aside. Place the leek on an open ﬂame - this could be done on the char grill of your BBQ, or on a wire rack on top of a gas flame on your stove top. As it blackens, turn it gradually as to burn all sides of the leek. Scrape off the charred burnt skin of the leek and crush into a powder with a mortar and pestle. Lay some cling film onto the bench and sprinkle it with some the leek ash, place the kingfish fillet on top and continue to sprinkle with ash until kingfish is coated. Wrap tightly in cling film and place into the freezer for approximately 1 hour or until firm. Then slice it lengthways 2-3mm thick, in long, even slices to serve. Add diced shallot to a pot, combine all ingredients except cucumber. Place onto a medium heat and bring to a simmer, turn to a low heat and keep cooking until all the liquid has reduced and you are left with a sticky marmalade consistency. Place some baking paper onto a baking tray and spread the marmalade out on the tray to cool. Once cool, fold in the diced cucumber. Bring 1 cup of water to boil and add your buckwheat. Simmer until tender, approximately 15-20 minutes. Remove and cool. Place on tray with baking paper into oven at 70C for 2-3 hrs or until dried out. Heat the oil in a small pan until it reaches 190C. Gently add the buckwheat and fry for approximately 10-20 seconds until puffed and crisp. Remove and drain on paper towel. Half the endive and wash in cold water. Bring the stock to the simmer and add the butter, thyme and garlic. Place the endive in and simmer on low for approximately 15 minutes or until tender. Remove the endive and cool. TO SERVE Place one teaspoon of marmalade onto the plate at 2 o'Clock, and gently arrange 3 slices of kingfish onto the plate, making them look like ribbons and 2 leaves of endive. Sprinkle a teaspoon of puffed buckwheat over the kingfish. Garnish with fresh chervil, edible flowers (I like to use borage or sorrel flowers) and a little peppery olive oil. Margaret River hosted it's sixth annual Gourmet Escape food and wine festival from 16 - 19 November 2017. A highlight was Thursday's Fifty Years in the Making Tasting held at Vasse Felix in partnership with the Margaret River Wine Association. 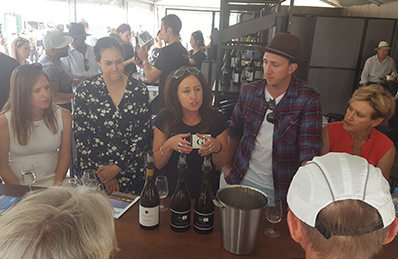 The tasting was a once in a lifetime full day event featuring a comprehensive Margaret River Cabernet Sauvignon tasting in the morning and a Margaret River Chardonnay tasting in the afternoon. 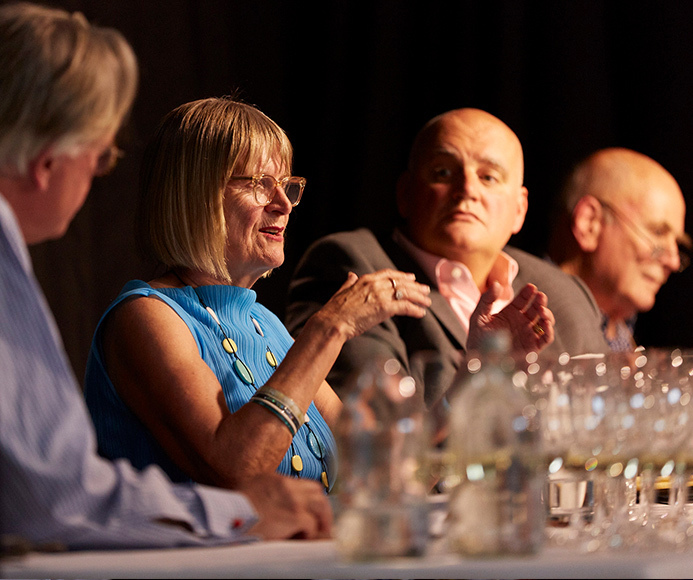 The tasting featured wines from 24 wineries in The Margaret River Region, plus a panel of highly esteemed wine industry leaders including; Jancis Robinson MW, James Halliday, Andrew Caillard MW and Virginia Willcock. 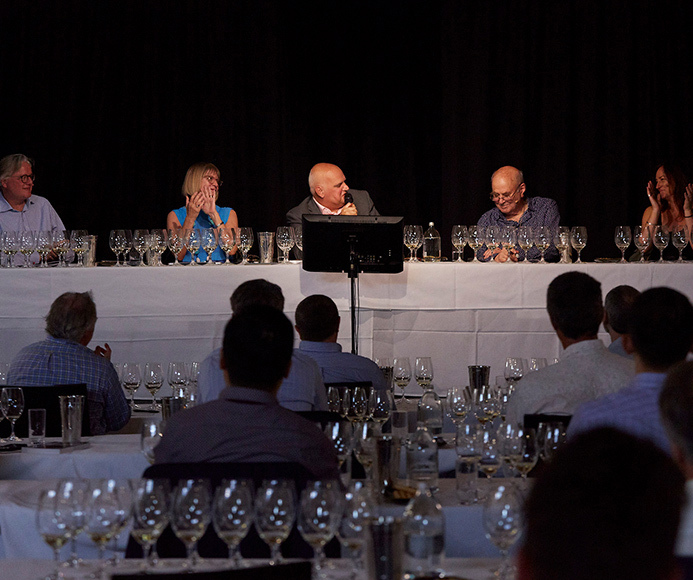 The tasting was an incredible experience for all who participated, reaffirming our belief that Margaret River truly is one of the great wine regions of the world. 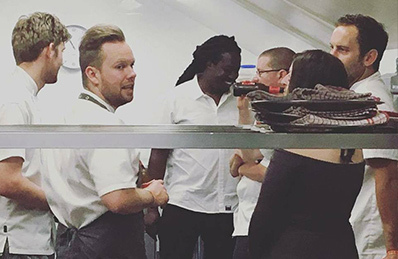 The Saturday evening saw Head Chef Brendan Pratt collaborate with Barbados-born chef Paul Carmichael, executive chef at Sydney’s Momofuku Seiõbo for the Invention and Heritage Degustation Dinner in the Vasse Felix Restaurant. The five course menu was a true celebration of our resourceful and inventive founder - Dr Tom Cullity. 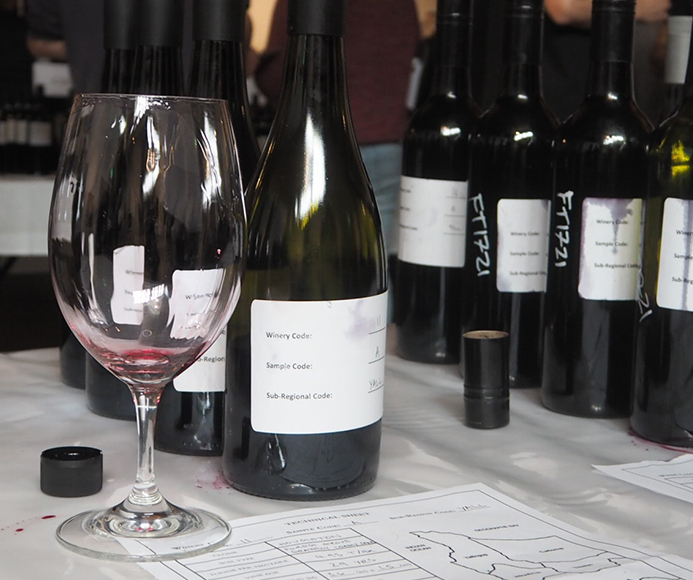 The cutting edge courses were accompanied by some of Margaret River's finest wines. The weekend also saw the return of Bar Felix to Gourmet Village. The travelling incarnation of Vasse Felix focused primarily on the theme of innovation this year, with two new Black Market Wine Schools - Creative Cabernet and Deconstructed Chardonnay. Once again our Black Label sparkling the Blanc de Blancs was available (much to the delight of festival-goers), as well as our Classic Dry White on tap, and Filius Chardonnay and Filius Cabernet Sauvignon. This years food offerings were hugely popular, with the Chefs barely keeping up with the demand for our Japanese Prawn Brioche Slider and Grilled Chicken + Papaya Salad. Hugo Gruzman (Flight Facilities) took over the main stage on Sunday afternoon, sending out the 2017 Gourmet Village with some great tunes. A perfect end to a fantastic weekend! 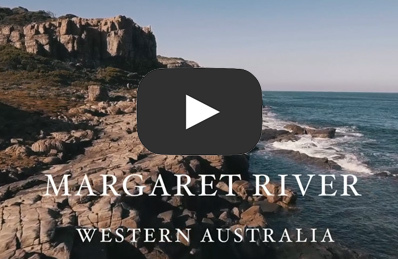 To view the Margaret River Gourmet Escape Video presented by Audi, click here. 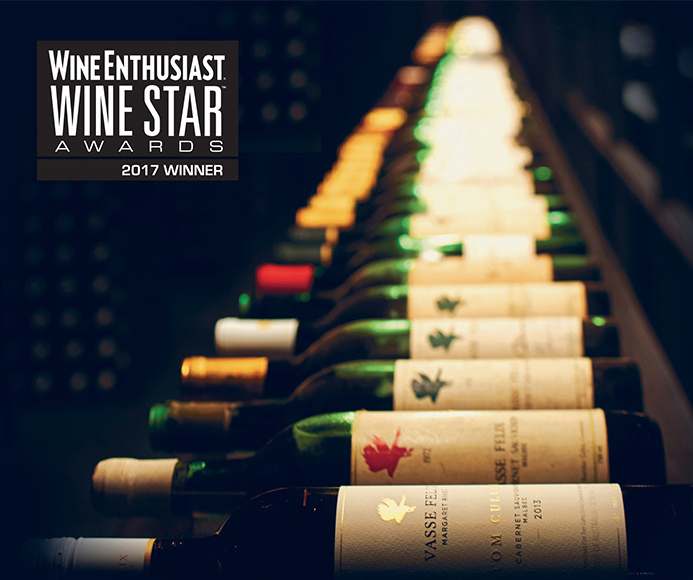 Vasse Felix has been named ‘New World Winery of the Year’ by leading USA publication Wine Enthusiast in its 18th annual Wine Star Awards. The award coincides with Vasse Felix’s 50th anniversary, along with that of the Margaret River Wine Region. Vasse Felix is the first Margaret River and West Australian winery to receive the US publication’s award, joining only three previous Australian winners; Penfolds (2013), Yalumba (2009) and Clarendon Hills (2006). Vasse Felix owner, Paul Holmes à Court, said the award was a tremendous honour and an acknowledgement of every individual who has contributed to the estate’s achievements in its first fifty years. 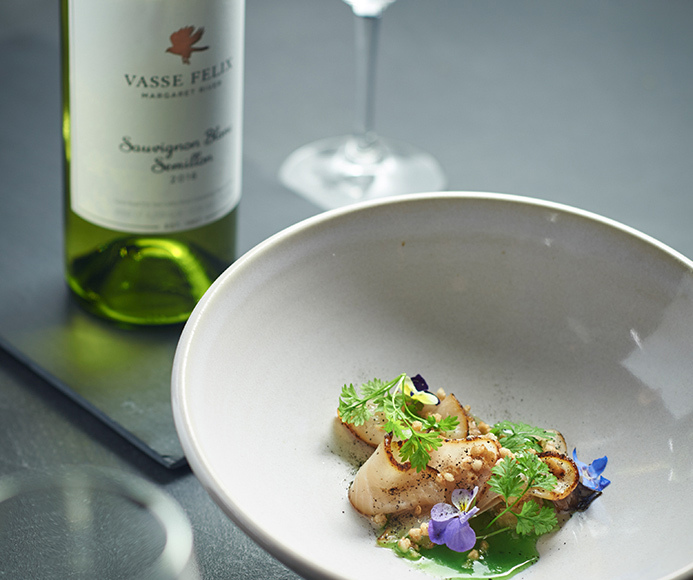 “The next fifty years at Vasse Felix will be defined by continued investment in wine quality and sustainability, and a serious focus on brand building in major export markets such as North America, UK and Asia,” Paul said. 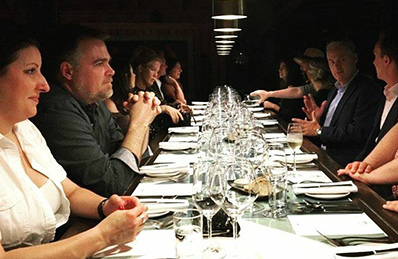 Director of the Margaret River Wine Association, Amanda Whiteland said the Wine Enthusiast Wine Star Award was a fitting recognition of Vasse Felix’s long-term reputation for quality and its leadership within the local, and Australian wine community. 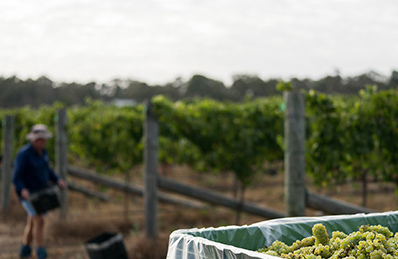 “The USA is a top three market for Margaret River exports and the Wine Enthusiast Award will be a great spotlight for our beautiful Margaret River wine region, and therefore something all producers can benefit from,” Amanda said. 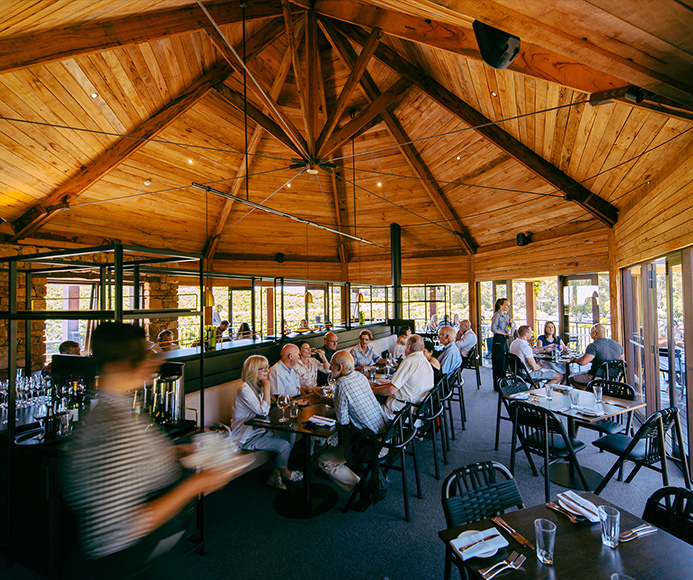 The Vasse Felix Restaurant received Two Chef Hats in the 2018 National Good Food Guide Awards this month. Head Chef Brendan Pratt, who has been with us since July, is already proving his mettle, with Vasse Felix being one of only two Western Australian restaurants to be awarded two prestigious 'chef hats' in the annual awards. "Earning two chef hats caps a stellar start for new head chef Brendan Pratt, who took the reins in the kitchen from Vasse stalwart Aaron Carr in July." David Prestipino said in his review of the Restaurant following the awards announcement. This is one of a few glowing reviews the Retsaurant has received recently, the latest of which was from Max Brearley in Delicious. "The service is still the best in the region ... Pratt's cooking is technical but robust, with bursts of colour from the vivid yellow of corn and yolk, to lamb that's topped with a squid ink rice crackers and ash, playing the eyes as ell as the palate. His approach to taste: linear, clean and true to the ingredients." Read more of the review here. More information on the Good Food Guide Awards here. 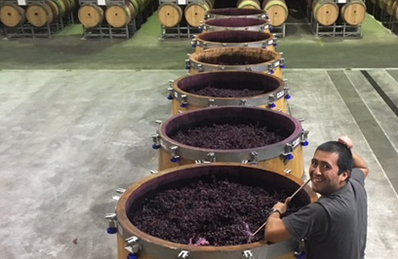 One of the USA’s most influential wine publications has nominated the Margaret River Wine Region and its founding wine estate for two major international awards. Vasse Felix and Margaret River are nominees in Wine Enthusiast’s Wine Star Awards in the categories of ‘New World Winery of the Year’ and ‘Wine Region of the Year’. Both sit in a shortlist of five, with winners to be announced in November. 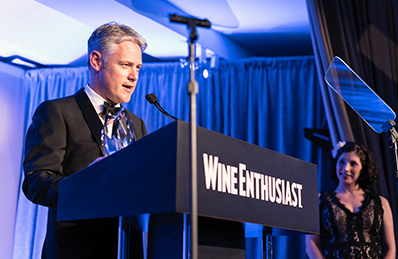 Editor and Publisher of Wine Enthusiast, Adam Strum said the awards recognise the most influential members of the alcohol beverage industry. 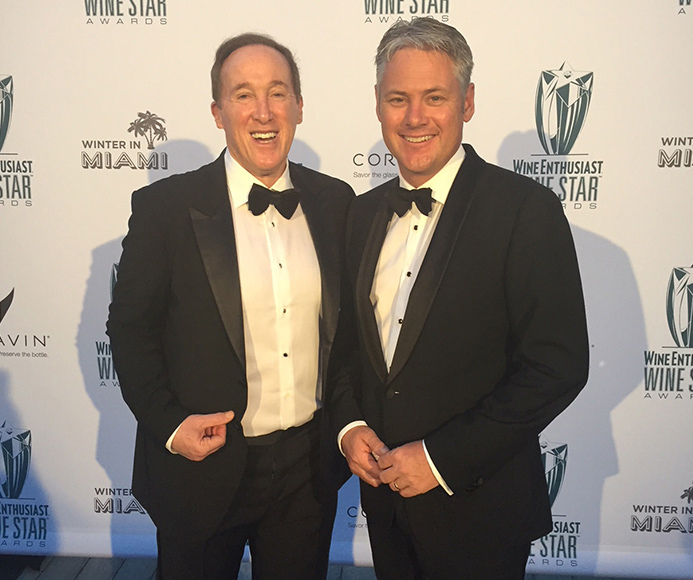 "Each year, I work with our global editorial team to tap top individuals and companies notably driving trends and creating impact in the consumer and trade wine, spirits and beer spaces,” Adam Strum said of selecting the nominees for the 18th Annual Wine Star Awards. The nomination comes at a significant historical moment for Vasse Felix and the Margaret River Wine Region who share their 50th anniversary this year. Vasse Felix Owner and CEO Paul Holmes à Court said the nominations were an excellent acknowledgment of the wine quality and innovation in Margaret River, a region which contributes just 3% of Australia’s overall wine production, but commands 20% of its premium market. 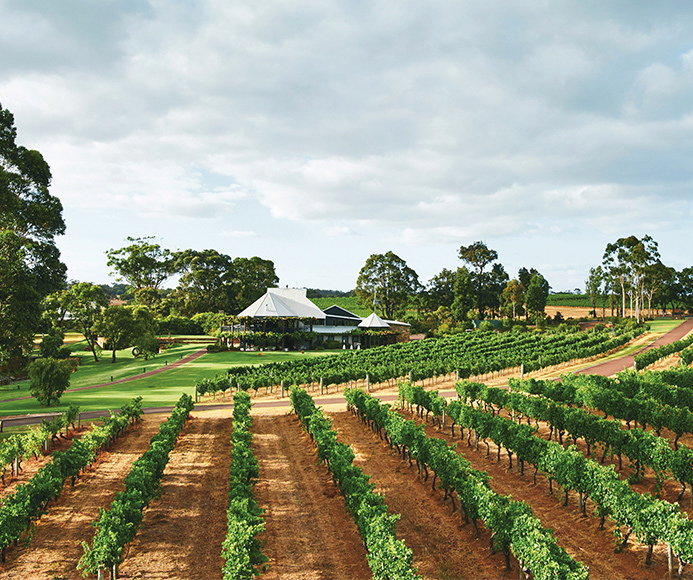 “Margaret River is a wine paradise for growing world-class Cabernet Sauvignon and Chardonnay. Our region is youthful, pristine and isolated and our well-travelled community encourages boundless thinking and collaboration. 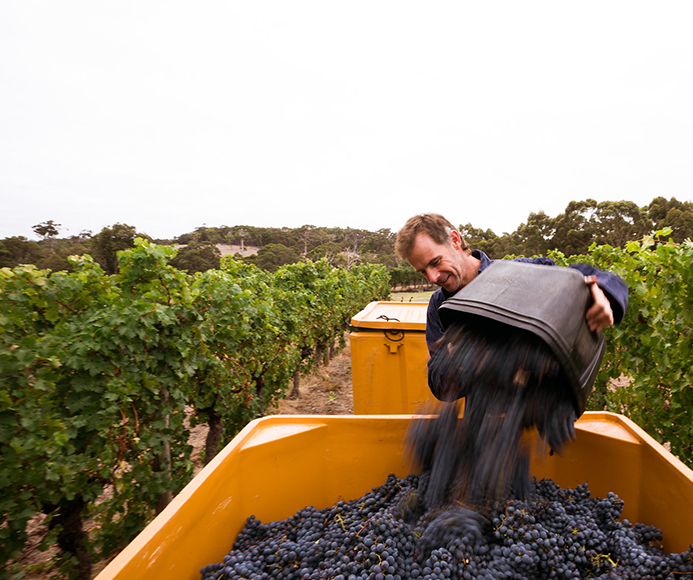 Local producers have made the most of Margaret River’s run of superb vintages since 2007 in a real and meaningful way. The dynamic, consistent and globally-relevant wines reflect that,” Paul Holmes à Court said. 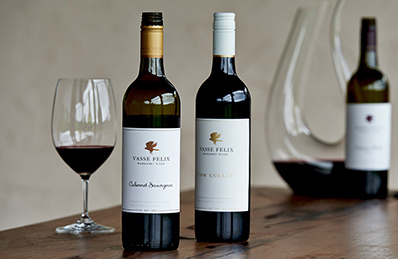 Throughout its history, Vasse Felix has maintained a reputation for the progressive winemaking of its wine collection which is estate grown, made and bottled. “We’re thrilled to have Wine Enthusiast recognise the research and development undertaken daily in the Vasse Felix vineyards and winery. The increased consumer awareness that the Wine Star Awards will generate for Margaret River in one of the world’s most important wine markets is something all producers and stockists can benefit from,” Paul Holmes à Court continued. 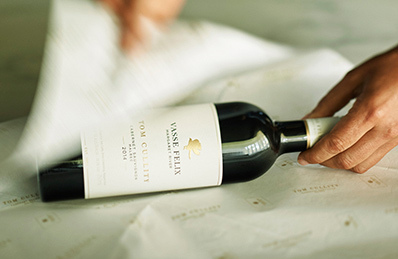 Vasse Felix’s 50th anniversary celebrations commenced in May with the release of its highly-acclaimed 2013 TOM CULLITY. The Cabernet Sauvignon Malbec is a single-vineyard evolution of its icon Cabernet, the HEYTESBURY and was more than ten years in the making. It honours Vasse Felix founder and regional pioneer, Dr Tom Cullity. Vasse Felix Chief Winemaker Virginia Willcock toured the USA in July and launched the 2013 TOM CULLITY, experiencing unprecedented trade interest in markets such as Miami and Chicago. This is consistent with the sentiment of a Wine Australia Market Update released in July which suggested growth in Australian wine exports to the USA in the 12 months to June 2017 was at its highest level since 2012. Exports of wines A$10 or more per litre (approximately US$15 and above in retail) had increased 21%. If successful, it would be the first time a non-South Australian Estate and Region has received the coveted Wine Enthusiast Wine Star Award. Penfolds (2013), Yalumba (2009) and Clarendon Hills (2006) have been the only successful Australian award-winning wineries, historically.